Let's start with the packaging! Like usual, D'eyeko packaging is quite annoying for me as it's not practical when i need to use it in a hurry. I prefer normal box type. It maybe look pretty, but not practical and waste of space. Anyway like mentioned in the box, you get two pairs instead of one! Oh, each of them also came with the small glue that can be use many times. 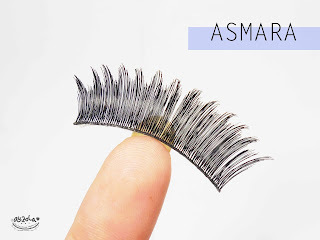 Asmara lashes are long, thick and full. It's really pretty for a party makeup without looking way too much. 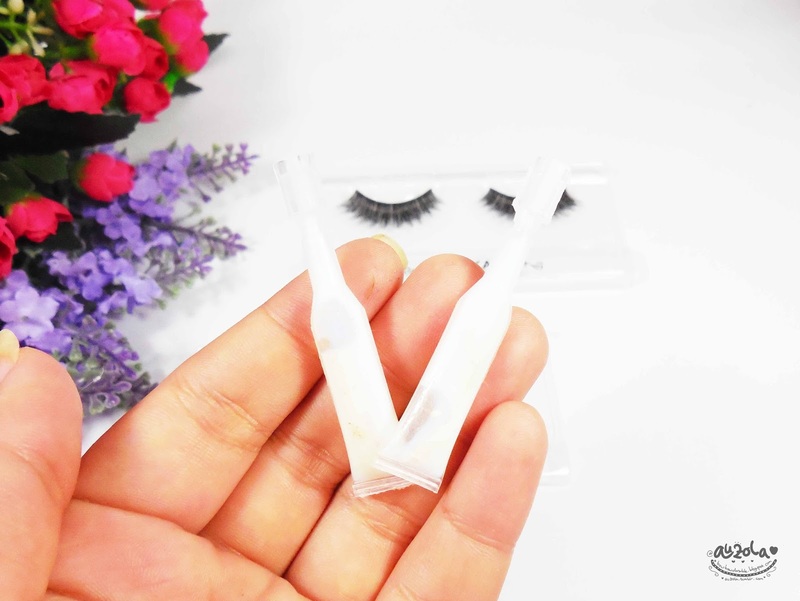 The lash band is quite thin and easily bend, other than that, the length is quite perfect that i don't need to cut it, plus it doesn't poke my eyes. Overall i been using it for more than 5 times and so far the lashes is still looking good (except the fact that i still need to clean up the leftover glue) and still can be use. 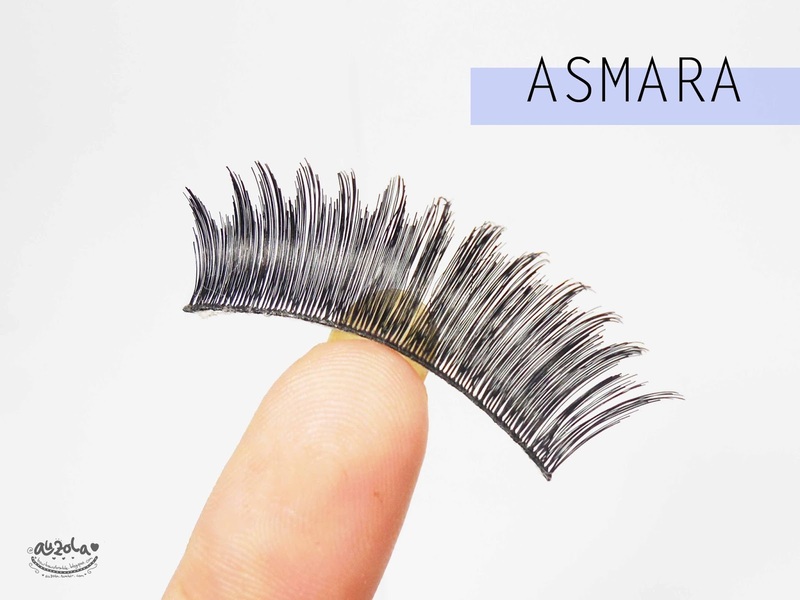 I used it for hours and for a thick lashes, Asmara lashes are quite light, so you're eyes gonna feel less tired, especially when you use it for hours. 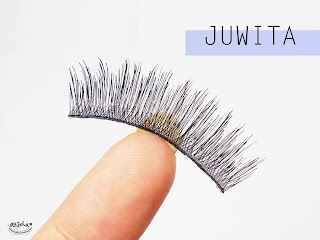 Juwita lashes are also long and thick, but not quite as thick and full as the Asmara ones. 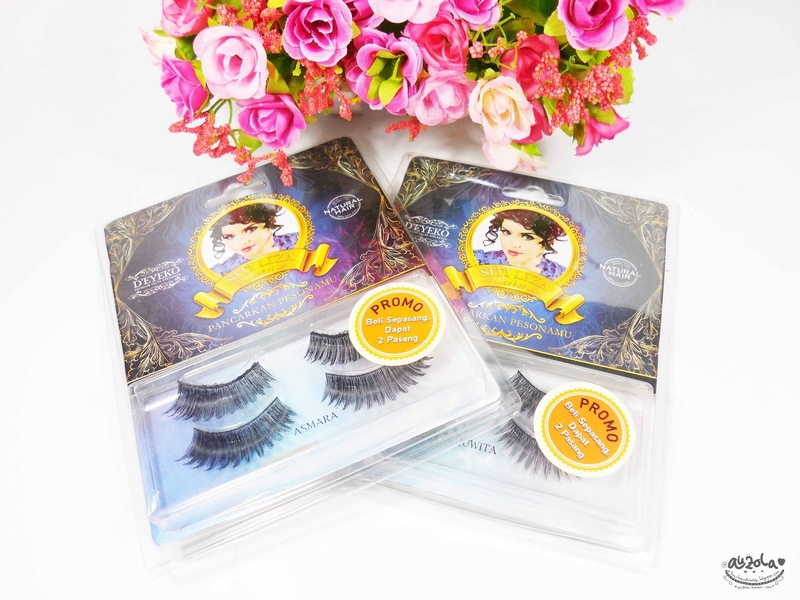 I found this one is really good for daily or even party makeup. The lashes is lighter than Asmara but still give you the mesmerizing look of course. The band is thin, so it can bend easily and not gonna poke you in the eye. This one is also comfy for long time use. So far i've been using is also about 5 times and the condition is still good. I have no complain so far, except the box hahhaha. 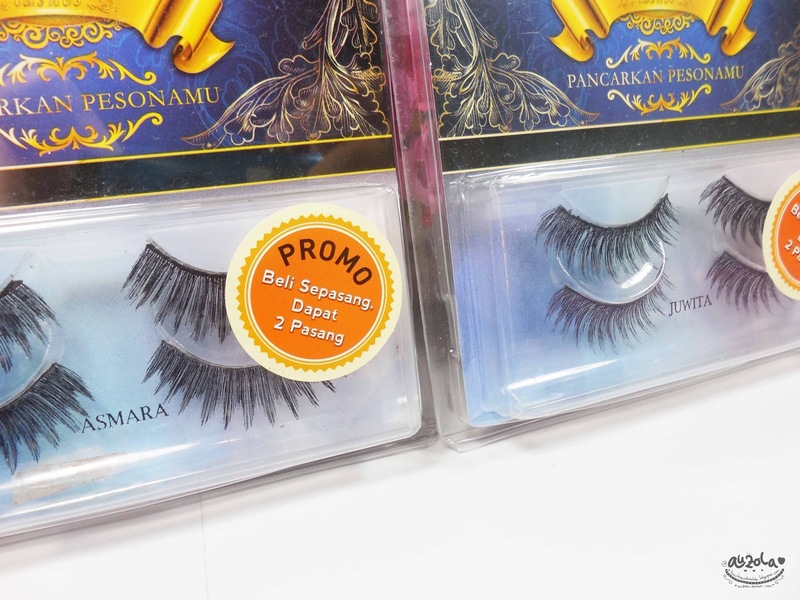 Well, both of the lashes has this nice thin band that can easily bend to match your eyes shapes. Plus it doesn't poke or hurt my eyes, so it's even better. 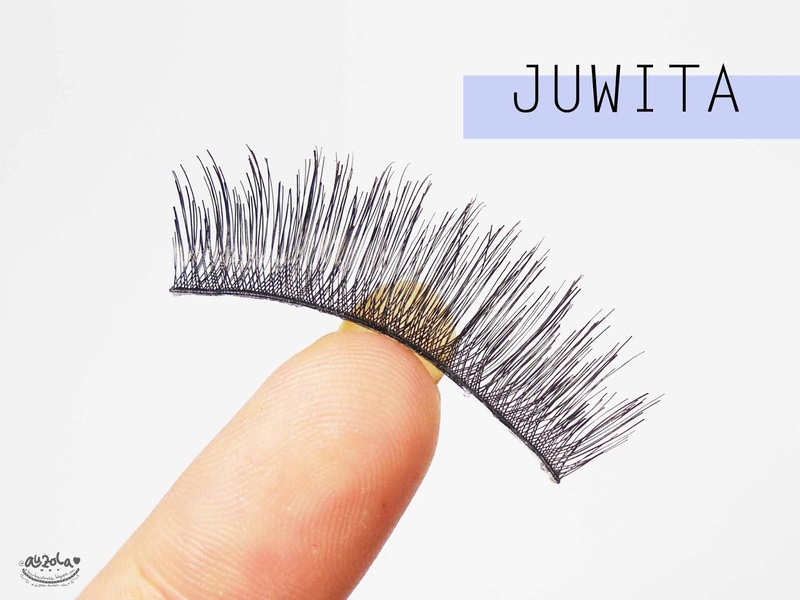 Then the full long lashes is just so pretty for party and i totally in love with Juwita series as it can also be use for daily! I love it, but i can't really give a full rating since the packaging is really disturbing me hahahhaa. 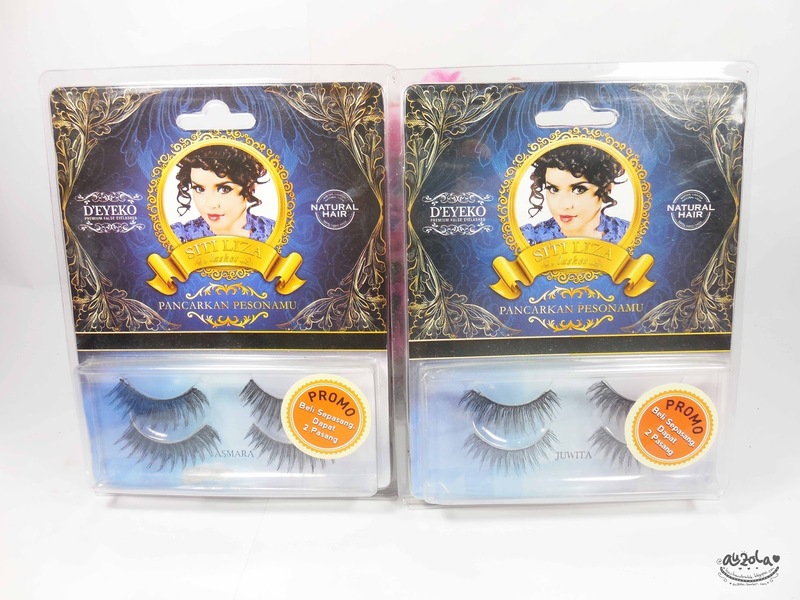 But as for the quality, i believe D'eyeko is great. 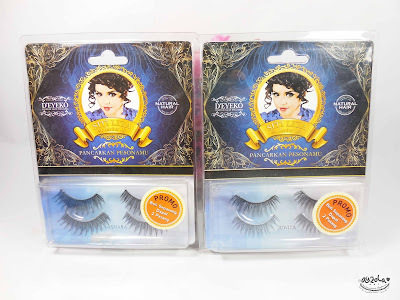 Just so you know, when i start focusing on my makeup, it was my first lashes that actually feel good on the eyes. So i can tell that i love most of D'eyeko series. 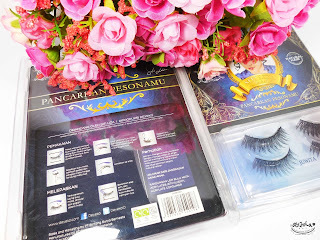 Anyway that's all my review for now, you can also check on my review of D'eyeko Princess Syahrini Collection here!